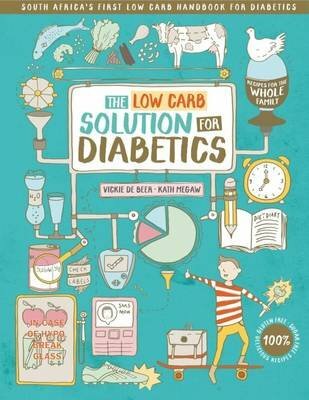 When working mother Vickie De Beer’s life changed forever, she and leading paediatric dietician Kath Megaw set about The Low-Carb Solution for Diabetics – and, in the process, developed an arsenal of the most effective systems and day-to-day strategies for practically dealing with diabetes. Part emotive journey, part cookbook and part medical reference, and all bundled up in the care and love of devoted parents, The Low-Carb Solution for Diabetics is the fruit of their combined findings – at once personal and professional, and essential reading that effectively ‘closes the gap’ for families coping with diabetes. Underpinned by the knowledge that time is one of today’s most precious commodities, Vickie’s meals are simple to shop for, effortless to prepare and, above all, packed with all the essential nutrients growing bodies and minds need for optimal health. Grouped seasonally and covering all days of the week, from Monday through Sunday (and not forgetting, sauces, treats and drinks), The Low-Carb Solution for Diabetics offers a wide array of choices for every meal of the day and to satisfy all those hunger pangs in between – a happy solution for both busy moms and even busier kids!